First World War 1916 prestige stamp book commemorating decisive moments of that year. 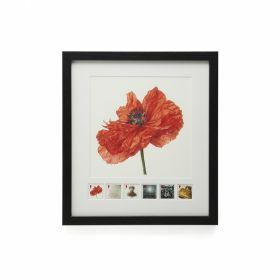 1916 saw a number of the war's most momentous battles and pivotal moments, including the Battle of the Somme. 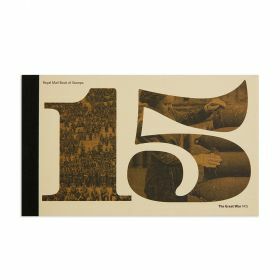 The key events of this fateful year are explored in engaging detail in this prestige stamp book, complete with fascinating archive images. Containing 26 pages of facts and all the 1916 stamps, plus a stamp unique to this item. 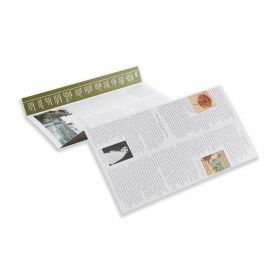 Features a detailed timeline of 1916 along with rarely seen images and artefacts from the Imperial War Museum. Written and curated by renowned Imperial War Museum historian Matthew Brosnan. 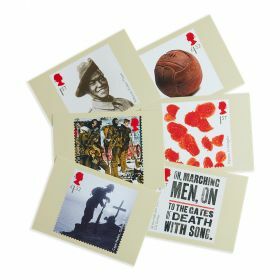 Richly illustrated, containing all the issue's special stamps, in page-sized stamp 'panes'. 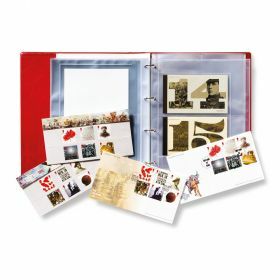 Every prestige stamp book features a unique definitive stamp pane, making them highly collectable.